White Sands #3, Seven Mile Beach, Grand Cayman, B.W.I. 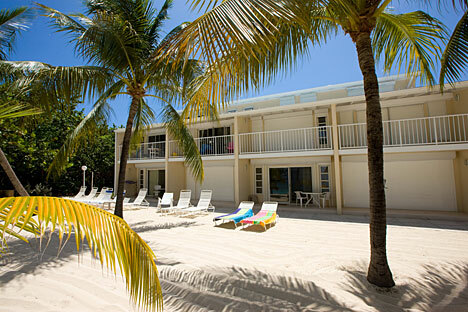 Escape the hotel crowds and tuck into a quiet beachfront condo resort that has everything you need and nothing you don’t. 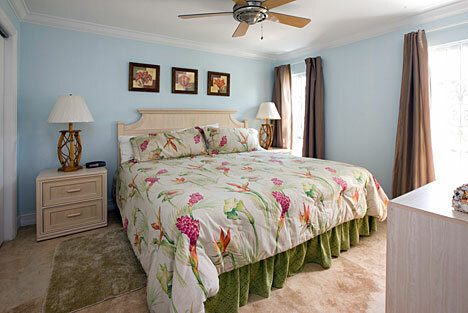 This one-bedroom, one-bath retreat is located on Seven Mile Beach’s slow-paced northern end. Here, you’re just a short shoreline stroll from some of Seven Mile’s best restaurants, beach bars, and other activities—yet far enough from them that you can enjoy a tranquil afternoon on a private beach you share only with rustling palms. 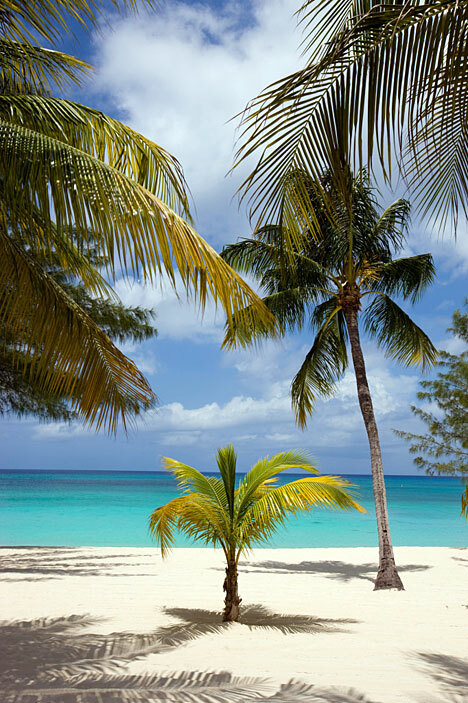 The White Sands #3 philosophy is that a Caribbean vacation should be simple: sun, sand, sea, and a comfortable space to sleep. 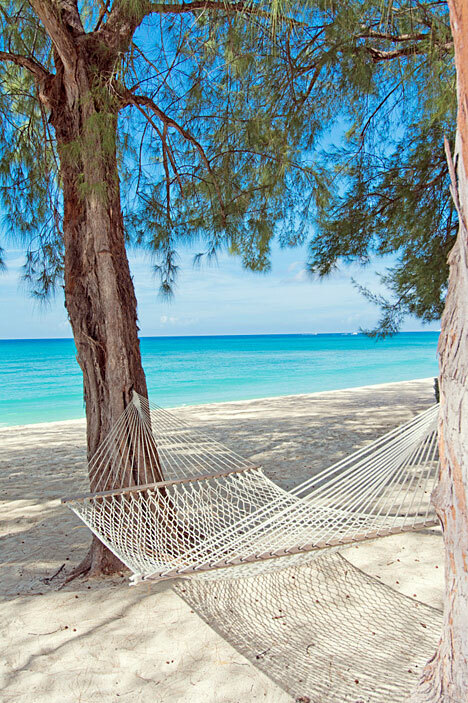 White Sands #3 is great for couples on a getaway, and for honeymooners who love the idea of kicking off their new life together with long afternoons swinging in the hammocks on a secluded beach. 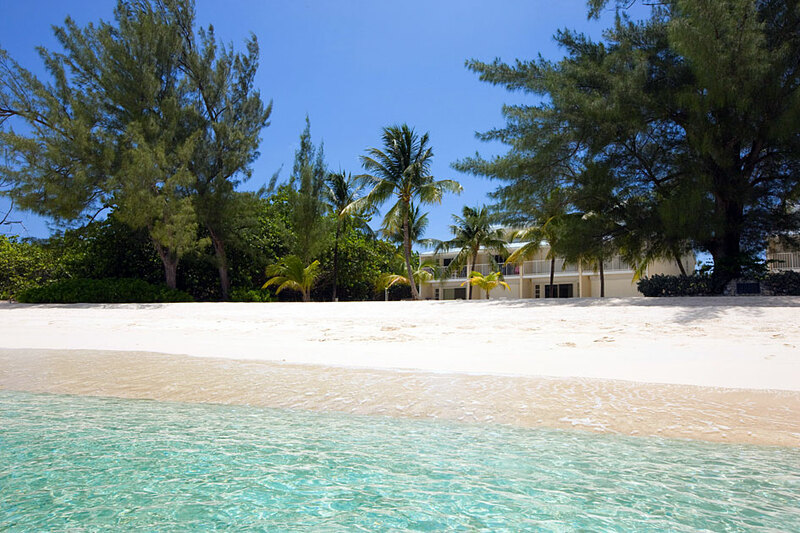 There’s no pool at White Sands, but its wide, pristine stretch of private shoreline—arguably the best on Seven Mile Beach—more than makes up for it! 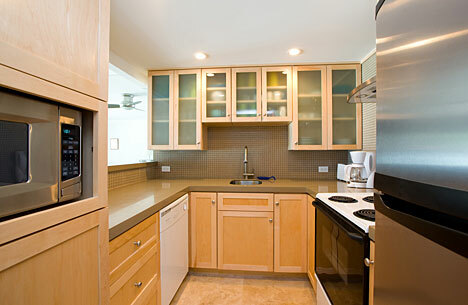 Inside this oceanfront condo, find a gleaming kitchen and bathroom with contemporary upgrades and finishes. In the kitchen, stainless steel and frosted glass cabinets create a clean, modern feel—the perfect place to prepare a romantic dinner for two. 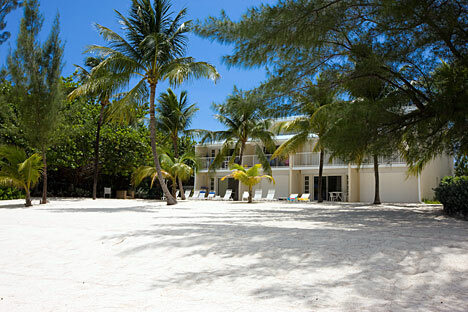 (White Sands also provides a communal grill for beachside barbeque!) 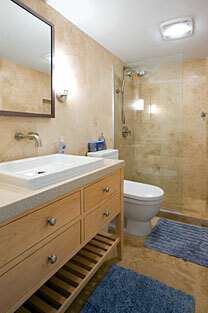 The bathroom boasts a spa-like vanity and big walk-in shower, and a king-sized bed provides plenty of room to sprawl out. 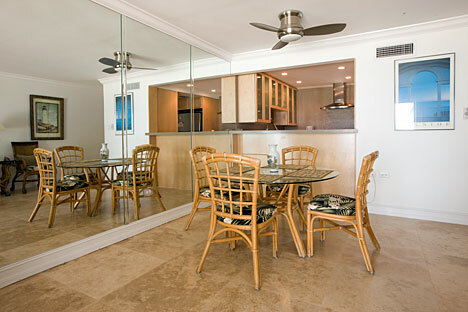 In the open living area, a pair of sliding glass doors anchors the space and provides big views of the sea and sand. 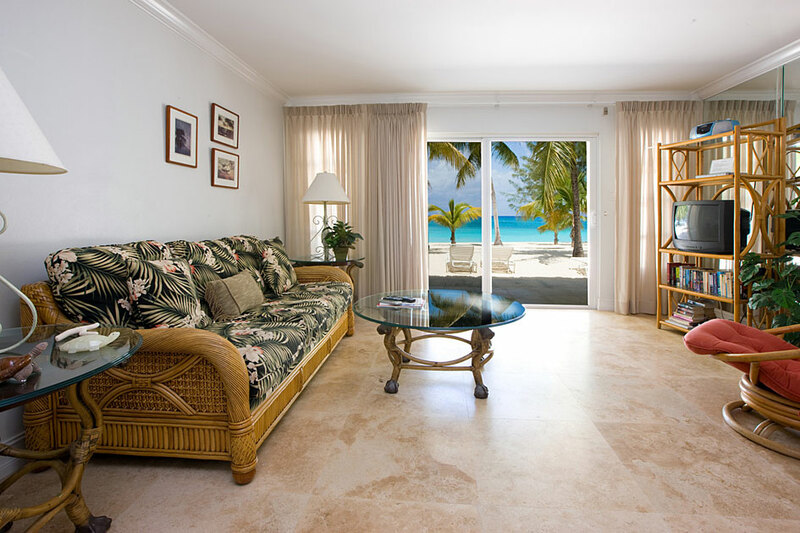 Best of all, the beachfront at White Sands #3 is so close that with just a few steps out this pair of doors and you’re part of the stunning scenery that surrounds you.